The other day I found out that the pre-teen daughter of a friend of mine was the victim of cyber-bullying. Police have been called, there are possible criminal charges, the police will be talking to school officials. And yes, it’s that bad. Without going into much detail, I will tell you this pre-teen bully not only caused great emotional and psychological pain to this girl and her family, but she also manipulated online postings so that there is the possibility of opening the victim up to sexual predators, including giving out her home location. The bully used to be good friends with the victim. I don’t know what caused the falling out, but I know this isn’t the way to handle it. I also know that the is the first generation of young kids having to deal with this kind of danger, which makes us the first generation of parents having to deal with it in younger kids. Well, every family & situation is different, but I’ll tell you what we are doing, plan to do, and how we are approaching it with our kids. #1 – mobile devices are charged overnight in our bedroom. We started this when our oldest got her iPad at age six. She will grow up with this being the normal way things are. #2 – the security on said mobile devices will be locked down very tightly, gradually lessening said security as they get older. I have to give my husband credit for this one. He has her iPad locked down with incredible security. She basically cannot communicate with anyone, even within games or apps, without our permission. #3 – we have told her now that we will read her messages later. We explained why (age appropriately). We talk about bullies, bad people, and safety. We talk about how our #1 job is keeping her safe. We tell her that we don’t want to read private things, but sometimes we might have to just to make sure she’s safe. She will grow up with this as a normal, loving thing for her parents to do. #4 – we plan to mount the giant flatscreen monitor for our computer on the wall. In the living room. It won’t be the most attractive setup, but there will be no hiding what you are doing online. We have an open floor plan, and this set up will allow that screen to be seen from all four common areas of our house. Our children are still young, and we plan to do this within the year, again making it something they will grow up with, something “normal”. You may notice a common theme here. We are not waiting until they are older. We are not waiting until something bad happens. We are instituting rules now, when the girls are young, when the rules don’t even really apply to them yet, so that they will grow up understanding that these actions are normal and we are doing them because we love them and want to keep them safe. In fact, my oldest has been asking for a Kids YouTube account lately so she can post videos. Yesterday she came up with the idea of it being a joint account, with only me having the password, so that I have to approve anything she posts, and screen any comments before she sees them. Her idea. Because us screening her computer & tablet activity is so “normal” to her that it’s not a big deal. Still haven’t decided though. I would love to find a really good program that blocks inappropriate content as well, but I have yet to find one. I’ve found ones that send you reports (after it’s too late), or ones that block way too much (sorry for locking you out of all of Google, husband), but none with a good balance for families. Which I think is ridiculous because many employers have great systems that block sites and messages based on specific key words, but I have yet to find a similar one for families. If you know of any, please comment below. I’m sure my readers would love to know as well. 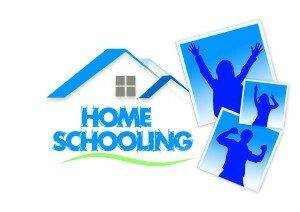 I never saw myself as one to homeschool, truth be told. I loved my public school experience (K-12), and my public university experience (B.A.). Both of my parents worked for the public school system. For us, it was a great experience. Growing up, I had quite a few friends who went to private Christian schools, and a couple of friends who were homeschooled, and they all did well, so it’s not like either of those options were ever off the table for me. My husband was homeschooled most of his schooldays though, so when we had our oldest, homeschooling was definitely on the table. In fact, for us public school, private school (Christian or secular), and homeschool were all on equal footing. But if I’m being honest, when I pictured it, I saw us sending our kids to public school, just like I did. I envisioned them having the same great experience I did. Things don’t always work out like we hope. The school district where we lived was a large one, by my standards anyway (over 4000 students in just the four high schools alone – not counting elementary or middle schools). We had friends with older kids who went there, who praised all the resources available, but lamented being “just a number”, complained that most of the staff didn’t have a clue who they were, and said if you weren’t the best of the best or the worst of the worst… you were nobody. Having gone to a small rural school (roughly 500 in the one high school when I graduated), this wasn’t exactly what I saw for my kids. But… we recognized that there are good things and bad things to everything, and so I still planned on sending my kids there, albeit with a little reservation. Fast forward a few years. Since I was working full time out of the home at the time, my oldest daughter attended a private Montessori preschool while I was at work, where she thrived. Her preschool went thru Kindergarten, and after discussing with her teachers (whom she had been with for two years already), the director, and her pediatrician, we decided to start her in Kindergarten a year early. All parties involved were in agreement: she was more than ready, not just academically, but socially & emotionally as well. She finished kindergarten with flying colors, top student in her class, and by her teachers’ words one of the most mature as well, despite being the youngest in her class. In February of her kindergarten year, I contacted the local school to start planning her enrollment there (I can be an anxious planner like that). They told me she would have to repeat kindergarten. I explained that she was enrolled in a certified kindergarten program in the same state and was doing well. If she finished that satisfactorily, why couldn’t she continue on to first grade? They said she was too young. I offered to have her tested. They refused. I offered to bring her in for an assessment / interview. They refused. Keep in mind I verified that our state mandates that schools have a provision for allowing students to skip a grade, although it doesn’t say how hard or easy a district has to make it on parents. They insisted she was too young to handle first grade, and refused to budge. I fought with the administration (school secretary, principal, superintendent, and eventually involved the entire school board) for four months before giving up, after they told me they would allow her to enroll in first grade, but only half a day (because a child so young surely couldn’t handle a full day of school). I asked what happened when she fell behind because all the other students were going a full day. Well, then she’d have to drop down to kindergarten or repeat first grade. What they’d actually done was found a way to agree to let her advance to first grade now, while all but ensuring she would fall back and still end up in their age-based little box. Essentially the district insists that all students fit into a narrow box of what a child can do at what age. My husband and I decided we didn’t want our kids to attend a school that had such a narrow definition of what a child could do, nor did we feel comfortable sending our kids to a school whose administration was so unwilling to work with parents. Praise the Lord everything else fell into place to make this possible. I had been miserable at my job for months, our family business was taking off, I was due with our second child at the end of the school year, and then two weeks before I gave birth my company announced my job was being transferred two states away. All of those big things, combined with a thousand little things, told us God was leading us toward me being a stay-at-home-mom and homeschooling our children. That was nearly two years ago, and while the journey hasn’t always been easy, I am repeatedly reminded that this was absolutely the best choice for our daughter. Last night while driving around with my 7 year old in the car, she asked me if I could talk in a man’s voice. Since my vocal range extends from mezzo-soprano down to tenor, I obliged. She giggled, then declared that I sounded so much like a man I can go in the men’s bathroom. I laughed, then said “I can not! Just because I can sound like a man when I want doesn’t make me a man!”. Giggles from both of us. Then we talked, lightheartedly (she is only seven, you know). We talked about how having a deep voice doesn’t make a woman a man, I told her about falsetto voices, and how having a high voice doesn’t make a man a woman. I asked her if Papaw was a woman because his favorite color was pink. An exuberant “No!” was her reply. And on and on. Examples from both genders about how just because you look a certain way, like certain things, or even act a certain way, that doesn’t define whether you are a man or a woman. God made men to be men, and women to be women. I glossed over our different parts. Then we talked about how awesome it is that there are a million different ways to be a man, but that men are still men, no matter what they’re doing on the outside. And we talked about how there are a million different ways to be a woman, no matter what women are doing on the outside. And isn’t it awesome that God made each of us different, so that there are a million different ways to be who we are, while still being the man or woman He made us to be? She didn’t realize the gravity of our conversation, but it was not lost on me. Our society has gone mad, and too many of our population have accepted the ridiculous notion that gender, or race, or age, or whatever are no longer absolutes. I think (hope?) what the people who support such notions just don’t seem to understand is that by allowing this relative, flexible version of “truth” permeate our society, we are also losing the diversity fight. Yes, I said losing. We are feeding into, growing, and further stigmatizing gender roles when we tell a woman with masculine tendencies that perhaps she should consider the idea that she isn’t a woman at all, perhaps she is a mistake, wrong gender in the wrong body. When we tell an effeminate man that since he isn’t very masculine it’s likely he may very well be a mistake, a woman trapped in a man’s body we rip away the dignity of who he is. Instead of celebrating the million ways to be a man or a woman, we are more & more funneling people into gender categories. On the surface, this idea that if we feel a certain way, especially if we identify a certain way, we must be that… well, on the surface that sounds like an amazing, accepting, loving idea. But dig a little deeper and you’ll see how sad and hurtful it is to tell someone that if you don’t identify with how I see men, then the “truth” is you’re really not a man. How much more accepting, and loving, and truly diverse of a society would we be if instead we said: “there are a million ways to be a man, and we accept you as a man, as you are”? I choose to teach my kids diversity is accepting people the way they are, not encouraging them to pretend to be something they aren’t, not telling them God made a mistake when He made them, not telling them they’ll be happier if they let us cut their bodies apart, but just as they are, right now. That’s how I teach diversity in my home.